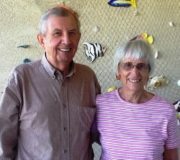 Scott and Virginia Lloyd Jones – Retired couple are regular volunteers with the SBEP Bay Guardians Program and other community programs that support area parks and preserves. 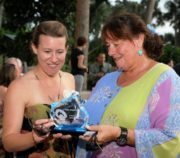 Sherri Swanson – Sherri is a senior environmental scientist with HDR Engineering, Inc., and volunteer supporter of the first three Sarasota Bay Water Festival events held in 2012, 2013 and 2014. Sherri is also a volunteer with the SBEP Citizens Advisory Committee and Technical Advisory Committee. Lee Fox – Lee is a wild bird expert and caretaker that worked previously with Save Our Seabirds, Inc.
Sean Russell – Sean is the founder of the nonprofit Stow It Don’t Throw It Project and an advocate for stewardship of the oceans and other waterways. Denise and Don Elliott – Retired couple provided leadership in creating bay-friendly landscaping at the Sunbow Bay Condo Association located on Anna Maria Island. The multi-year effort was supported by SBEP Bay Partners Grants. 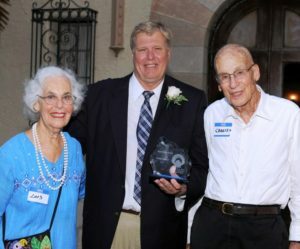 Jack Merriam – Jack retired as the environmental manager with Sarasota County and he worked previously for the Southwest Florida Water Management District and Florida Department of Environmental Protection. Martha B. King Middle School – The Bradenton school was acknowledged for its active support of the SBEP Bay Guardians Program and other local projects benefiting Sarasota Bay and its watershed. Charles Edwards – Long-term volunteer member of the SBEP Citizens Advisory Committee (CAC) following his retirement as a college biology professor and researcher. 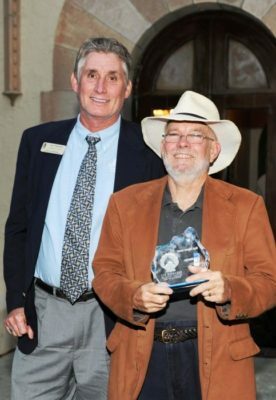 Raindrops Cisterns – Sarasota business provided local leadership in promoting rainwater harvesting and water storage solutions as part of the trend to promote low impact development. AMI Turtle Watch and Shorebird Monitoring – Local volunteer-supported nonprofit has protected sea turtles, shorebirds and habitat for more than three decades. The group also provides ongoing education for adults and children throughout the region.